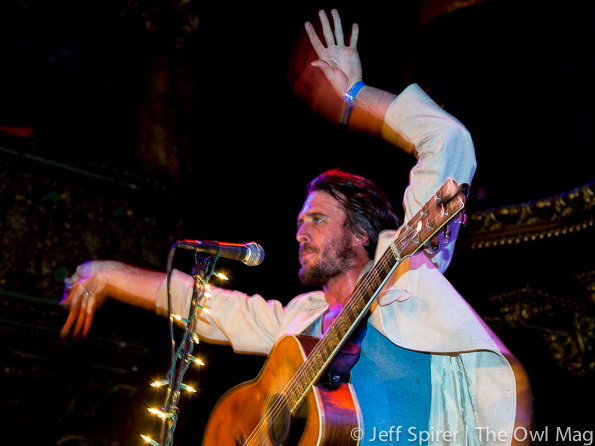 If you weren’t a friend of Sam Chase before going to his Great American Music Hall show, you were by the time you left. Chase’s enthusiastic performance combined with his friendly and funny banter with the audience engaged everyone, and when he invited the audience on stage for the last encore, the crowd packed on until there was nowhere to stand. 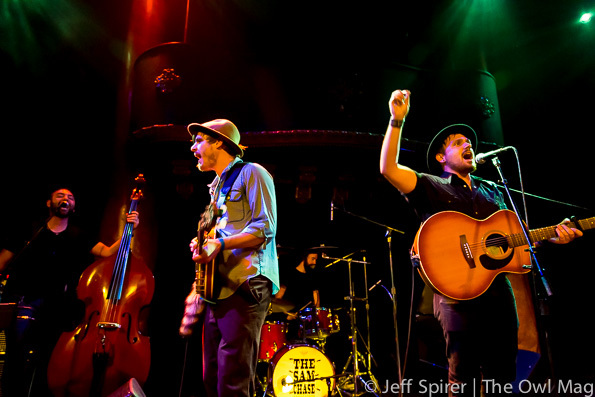 When his band, The Sam Chase, takes on his hook-filled Americana songs with their often autobiographical lyrics, the resulting sound is rich in sonic texture and easy to sing along with, which happened all night. 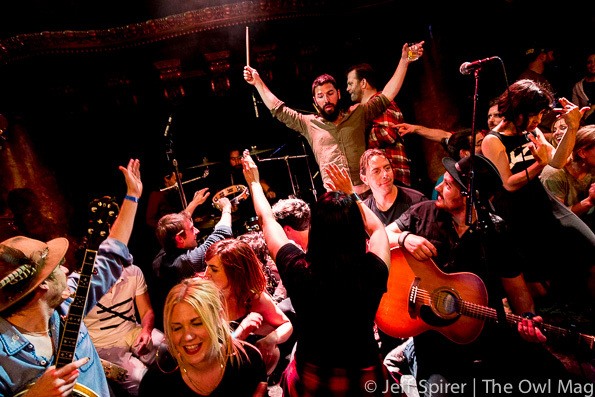 The band included not just its own seven members but musicians from the two opening bands, who were invited to join the band throughout the set. 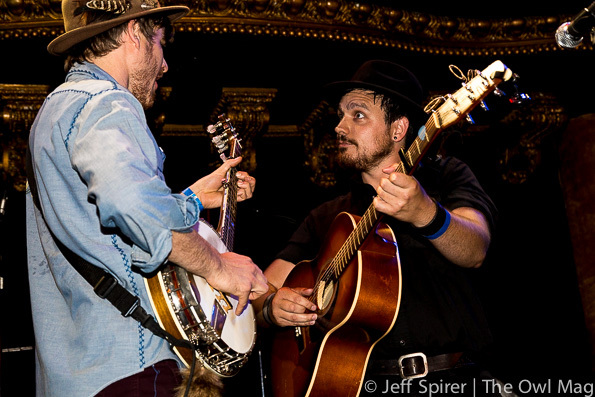 With the band’s cello, standup bass, vocalist, banjo, drums and piano as a core, there were horns, violins and additional singers surrounding Chase and his guitar at times. As a counterpoint to Chase’s gruff vocals, Ari Daly provided sweetly smooth vocals. 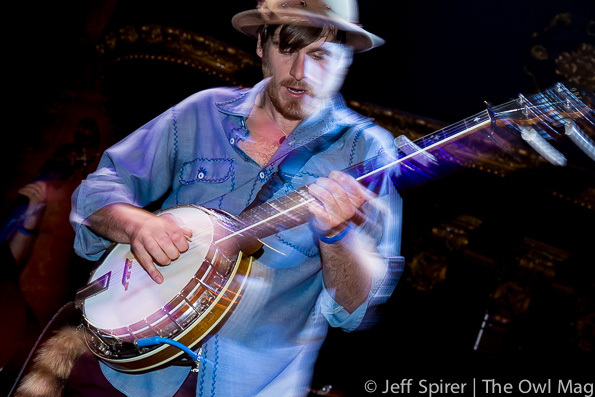 New member Austin Quattlebaum, playing banjo, joined the band during their recent Pacific Northwest tour. First opener The Crux provided similarly traditional music built around Josh Windmiller’s energetic vocals. Windmiller was a visual treat and the band’s multi-instrumental talents quickly pulled in the audience. The Crux was followed by Foxtails Brigade, sometimes a duo but here joined by bass and drums, played their “chamber folk” music for close to an hour. 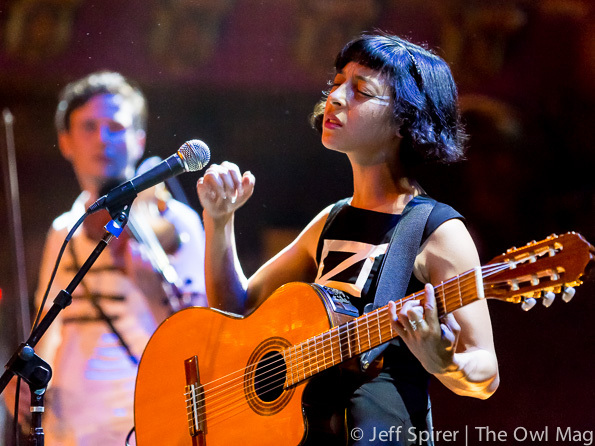 Laura Weinbach’s moody songs and voice melded with Anton Patzner’s violin and guitar in a quirky and shifting set. Recent art by Weinbach decorated the stage as a visual accompaniment. 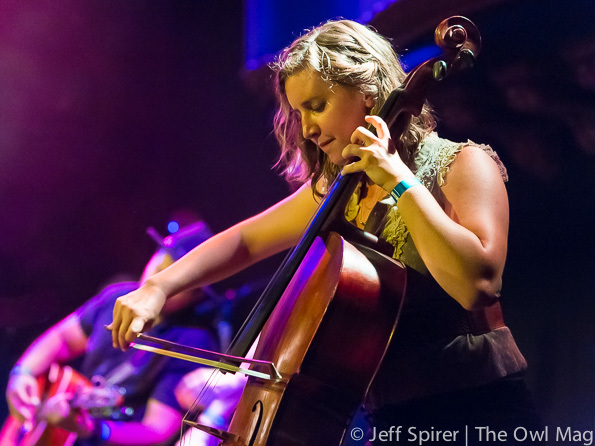 Check out a full photo gallery of the joyfully frightening performance by The Sam Chase HERE!